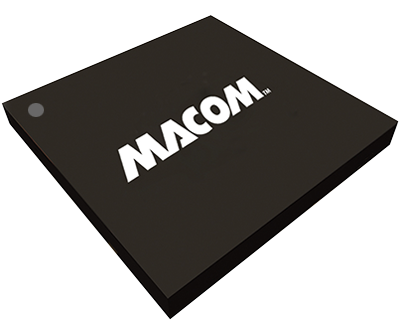 The MALD-37445 is a Quad 24.33 Gbps / 25.78 Gbps VCSEL driver with integrated CDR and equalizer for use as a complete one chip transmit solution in optical modules. The outputs are spaced on 250 μm centers to be compatible with standard optical interfaces. Each channel can be controlled through the 2-wire serial interface and includes a VCSEL driver with eye shaping features, a high performance CDR, and an equalizer. The MALD-37445 CDRs retime at 24.33 Gbps and 25.78 Gbps. The CDR is reference-free and can be bypassed to support legacy or non-standard data rates. The MALD-37445 is available in a 3 mm x 2 mm die supplied in waffle packs, whole wafers or quartered wafers.